These gentle surf waves are often gigantic. The famous 'Maverick' surf with waves 60 feet high is not far from here. 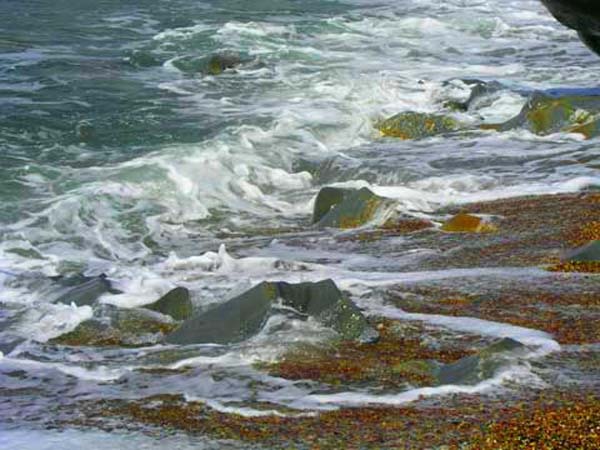 The surf relentlessly laps and beats into the shore, filling tidepools and providing a life for many tidal fishes, crustceans, and vegetation. Plus rythmic harmony for the human soul.